We are all the way through January. Are you still going strong on your fitness goals? Or have you lost motivation? We know how hard it is to stick with your workout plan from day to day. That is why we put together a list of the top fitness beasts you should be following on Twitter. These guys know what they are talking about, and you will certainly find the motivation you need to keep going. Corey Menzinger is totally legit. He is a natural body builder that promotes motivation to keep working out. He isn’t afraid to say exactly what he is thinking about those that are not giving it their best. With his daily inspirational quotes, you are sure to feel motivated to continue on with your workouts with renewed inspiration. Shawn Ray is no joke when it comes to taking bodybuilding seriously. You will find a whole arsenal of inspirational quotes for the day, along with genuine advice to help you meet your goals. 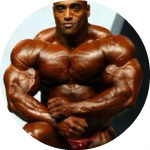 His knowledge and experience in bodybuilding is evident by the role he plays in the Vancouver Pro Show. This incredible man is well known on the bodybuilding circuit. Dennis James is sponsored by some well known businesses such as: Gorilla Wear, Muscle & Fitness, Pro Tan, Cyclone Cup, and Flex to name a few. He is the real deal when it comes to being sold out to staying fit and healthy. 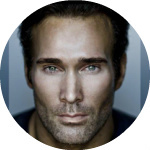 Mike O’Hearn is all about the deadlifts, martial arts, strongman, and bodybuilding. He is completely dedicated to working hard and reaping the benefits that come with the success. You will find that he is also all about building a life that is fulfilling from the inside out. There is so much to life, and he pursues it all. Here is a man that knows how to get results from his workouts. He is an IFBB Pro Bodybuilder and rightly so. Every day, you will catch him posting his workout updates. He is a true inspiration to those that are ready to take it to the next level. Take a look at Jess and Blair Mone. They are a bodybuilding couple that will show you just what it means to work together as a team. Both of them are sponsored athletes with the ON/ABB. Together, they own the Build Your Temple Health and Fitness. 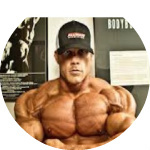 PJ Braun is an expert nutritional consultant. What you eat makes all the difference when building your body. He is also a master trainer and once was a top NPC bodybuilder. 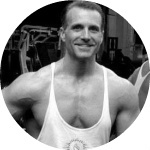 His experience and knowledge is sure to help you meet your nutritional goals. 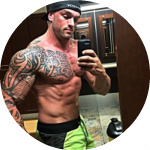 Aaron Guy is a personal trainer in Chicago at Quads Gym. He has countless testimonials from those that he has trained of how knowledgeable he is. This man knows his stuff, too. He holds an advance certification as a Performance Enhancement Specialist. What are you waiting for? This guy is worth the follow. Here is a guy you want to take the journey with. He is young but growing his audience. They are inspired by his success and excited to watch him reach his goals. 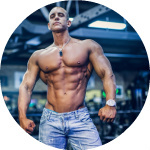 He is the perfect guy to follow if you are just starting out with bodybuilding. Joel is another guy that is just starting out on his bodybuilding journey. He daily tweets about his success and struggles. He is just a regular guy trying to take it up a notch. You are sure to find some great motivation through his account. 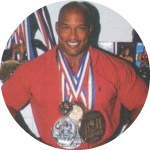 Tom Venuto is committed to helping people get leaner, stronger, fitter and healthier. Also, he is a passionate writer and bodybuilder. He’s been in the fitness training business for 25 years. This guy knows what he is talking about. He will show you the natural way to get into the shape you are looking for. 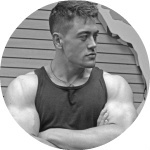 Elliot is a personal trainer and bodybuilder. 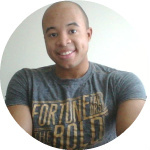 He is also an entrepreneur selling fitness products that help others to meet their goals. He is known to tweet practical exercises and other important helps for your day to day workouts. Truly a well educated man with the experience to help you. Dani Younan is the owner of Hollywood Nutrition. He is also a National Level Competitive Bodybuilder and has done some acting and modeling. He is using his amazing physique to do more than just impress the ladies. He is building his career by pursuing his passions. Scott McMillan is a super heavyweight Provincial bodybuilder. He is completely sold out to training hard and gaining results. You will see him post motivational quotes, lifting advice, and pics that will leave you feeling pumped. 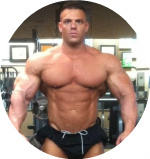 Benjamin Pakulski is pumped and ready to show you how he has gotten his results. Every day you will get advice to help you reach your fitness goals. Check out some of his videos where he shows you the proper way to do certain exercises. These are some great twitter accounts to follow if you are working to be stronger and fitter.